One of Australia's Cuddliest Creatures in Spectacular High Relief! We'll be honest -- if there wasn't already strong competition coming from the kangaroo, we'd pronounce the koala the most adorable marsupial in Australia. When you see one on a page, on a screen or in person, there's no way you can't crack a smile! 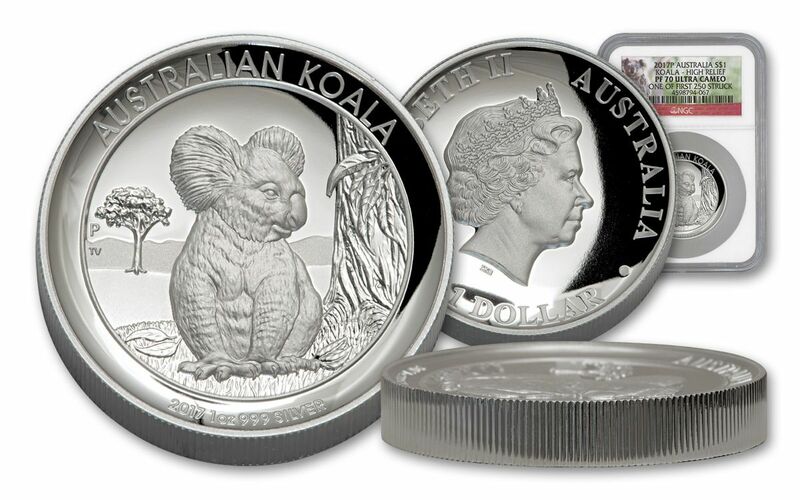 That's why we love it when the Perth Mint introduces their annual Australian Koala Silver Proof design -- and 2017's entry definitely makes the list of our all-time favorites! RELAXING IN THE SHADE-- Designed by Thomas Vaughn, 2017's Koala is standing in the shade of a eucalyptus tree, spying the ground for a tasty leaf or two. Fortunately, this search will be rewarded soon if the leaf on the left is any indication! Intricate details in both the foreground and background provide a perfect setting for this gorgeous mammal. PROOF MINTED IN HIGH RELIEF-- The Perth Mint is known around the world as one of the leaders in high-relief proof production. Beginning as a hand-selected, one-ounce planchet of 99.9% fine silver, each coin is struck multiple times by polished dies to produce a design with incredible depth and frosted features over a mirror-like surface inside of a deep, concave field. 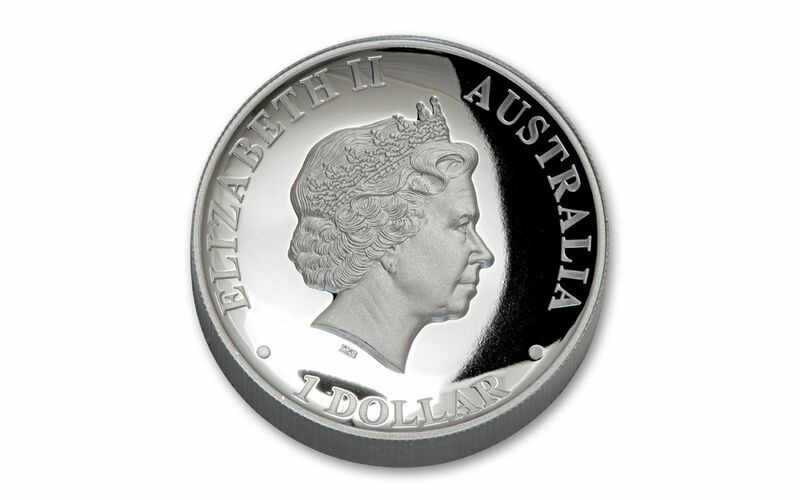 AUSTRALIAN LEGAL TENDER-- Each Silver Koala High Relief Proof is one dollar Australian legal tender, a fact reflected on the coin's obverse along with Ian Rank-Broadley's profile of Her Majesty Queen Elizabeth II. To find the proof's year, weight and purity, it's all right under the koala's feet on the reverse! And the Perth Mint's mint mark? Look to the left of the koala to see the mint's signifying "P"! 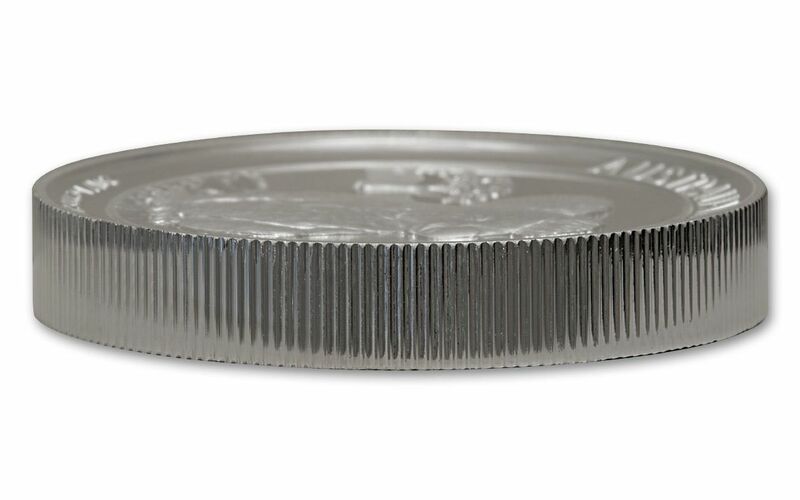 CERTIFIED FLAWLESS-- Your coin will come certified Proof-70 (PF70) by Numismatic Guaranty Corporation (NGC), a distinction that means your perfectly graded 2017 1-oz Silver Koala High Relief Proof will have ZERO imperfections -- showing all features and fields exactly as the engraver and mint intended! In addition, your proof will be certified as One of First 250 Struck by NGC, meaning that it was among the VERY first produced by the mint. Finally, your proof will be sonically sealed in a protective acrylic case along with a special Koala label! A LIMITED MINTAGE! 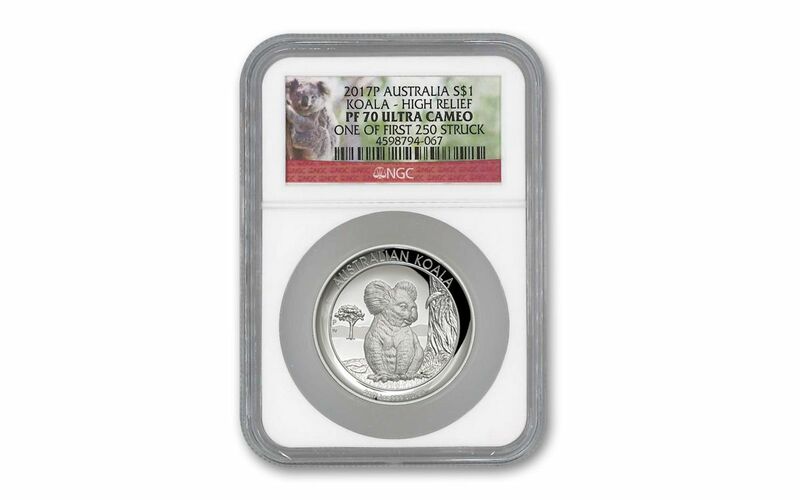 -- Only 10,000 proofs will be minted for Australian Koala fans worldwide! Just like its mates at the Perth Mint -- the Kangaroo and the Wedge-Tailed Eagle -- Koalas are a perennial hit with collectors. Add in this proof's stunning high-relief design and you have a coin that's sure to quickly climb out of our vaults. 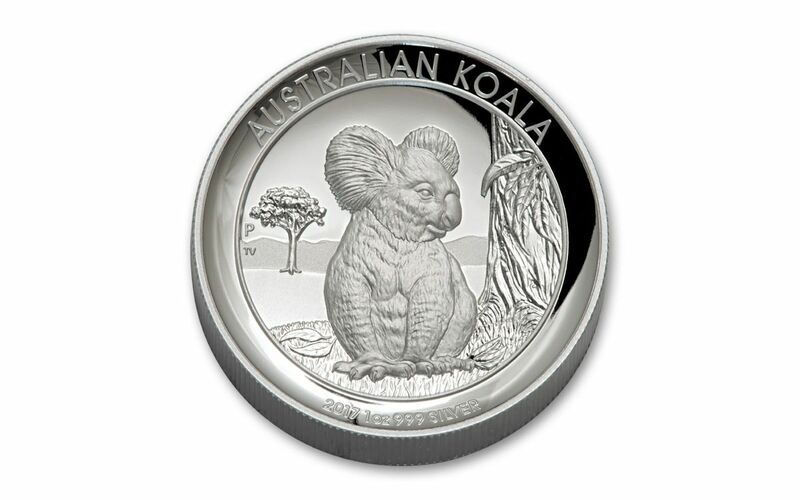 Don't rest on this one -- order your 2017 1-oz Silver Koala High Relief Proof today before someone else snatches it away!